The Monroe High School Athletic Department celebrated the commitments of 5 Hornet Athletes that will be continuing their academic and athletic careers at the intercollegiate level in a special College Signing Ceremony on Friday, February 9, 2018 in front of their family and friends. 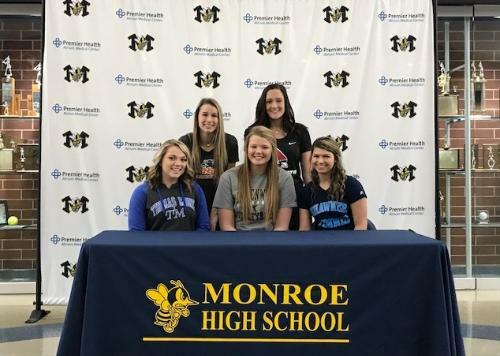 Monroe High School Athletic Director Eric Silverman shared, "today is the culmination of many years of hard work, dedication, commitment and sacrifice by the student-athletes that are making their college commitments today. These students should be commended for their pursuit of excellence both in the classroom and in their athletic endeavors."